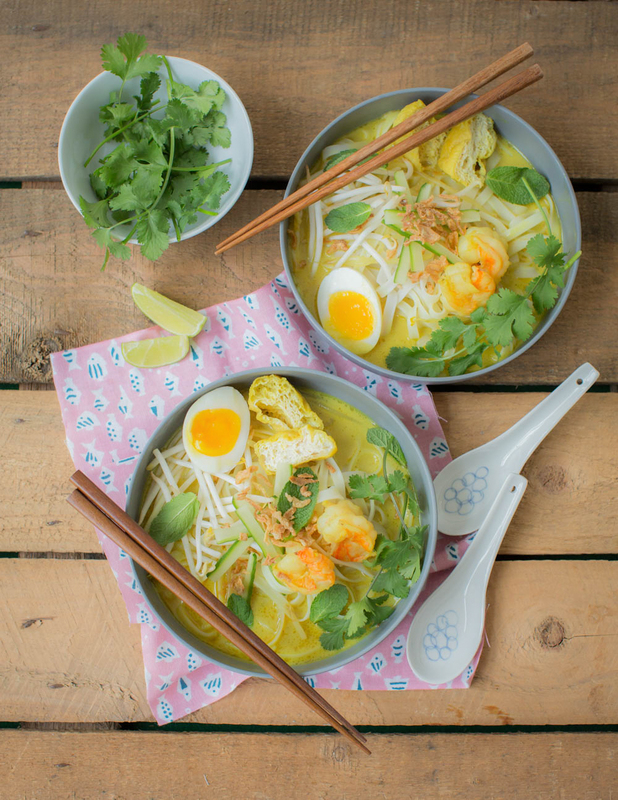 This soup can be found all over Malaysia: a coconut-milk prawn broth with rice noodles, topped with tofu, herbs and an slow-cooked egg. A total winter warmer! Break open the dried chillies, remove and discard the seeds and put the chilli skins into a little bowl with the dried prawns. Pour boiling water onto the chillies and leave to soak for 20 minutes until soft. Meanwhile, finely chop the lemongrass. Peel and crush the garlic. Peel and roughly chop the shallots, galangal and ginger. Put the coriander seeds in a frying pan and roast for a few minutes until fragrant. Grind the seeds in a pestle and mortar. Drain the prawns and chillies and put in a blender, reduce to a paste. 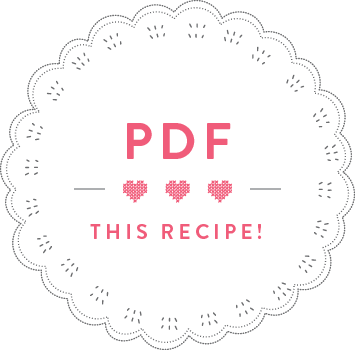 Add the remaining laksa paste ingredients and blend to a paste. Peel and devein the prawns (and remove the heads if they have any), keeping the shells and heads. Refrigerate the prawns until needed. Heat 1 tbsp of oil in a heavy-based saucepan and fry the prawn shells and heads for a couple of minutes until crisp and golden. Add 1.2l of water and bring to the boil. Leave to simmer for about 30 minutes until reduced to approx. 750ml. Drop the rice noodles into boiling water, take off the heat and leave to soak for about 5 minutes until just tender. Boil the eggs for 6 ½ minutes, drain and put under a tap of running cold water. Once cool enough to handle, peel the eggs and cut in halves. Cut open the cucumber lengthwise and remove the seeds with a teaspoon. Cut the cucumber into thin strips. Trim the spring onions and slice. Once the prawn stock has reduced, strain the stock through a sieve and set aside. Heat 1 tbsp oil in the saucepan used for the stock and fry the laksa paste for a few minutes until fragrant. Add the coconut milk, prawn stock and chicken or vegetable stock and bring to the boil. Add the palm sugar and season with fish sauce and lime juice to your liking. Strain the laksa soup base through a sieve to remove the chunky paste ingredients, and put back into the saucepan. Bring back to the boil and add the tofu puffs, prawns and beansprouts, cooking them for approximately 3-5 minutes until cooked through. Distribute the rice noodles between 4 bowls. 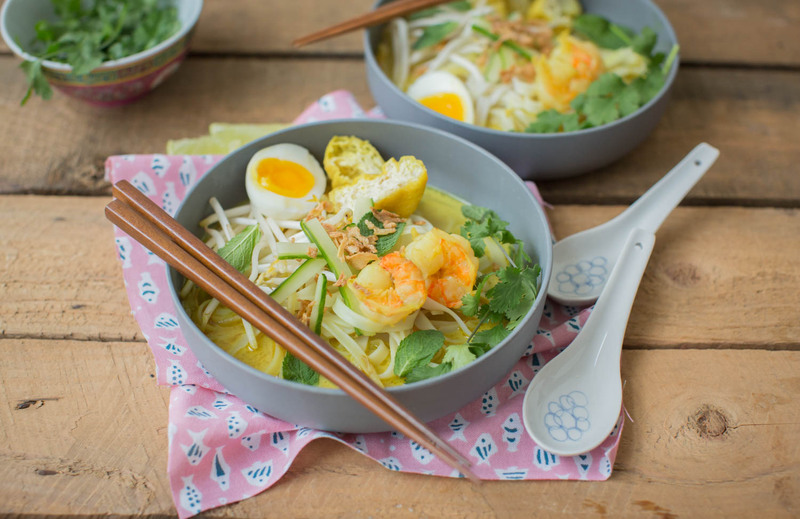 Top each with a few ladles of laksa soup base, a few shrimps, 2 tofu puffs, one egg half, cucumber slices and sprinkle with crispy onions, mint and coriander.